Electrical transformer. 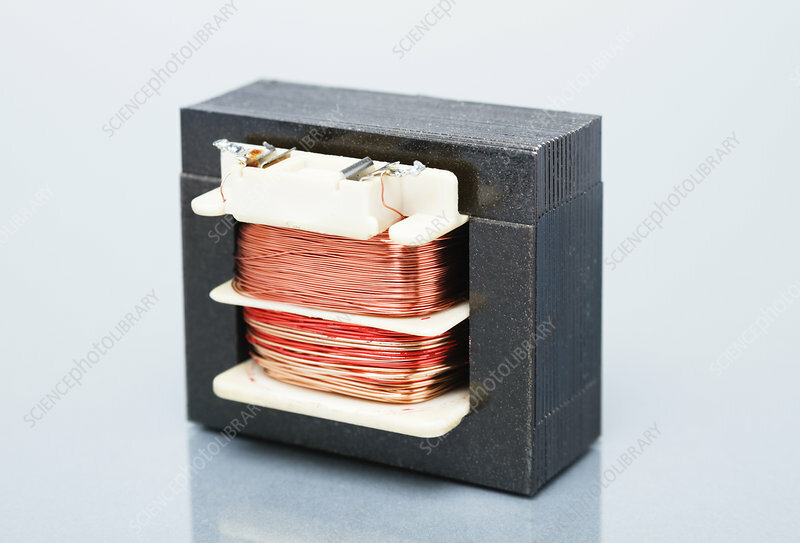 An electrical transformer consists of two or more wire coils wrapped around the same core made of a very high magnetic permeability material, such as iron or silicon electrical steel. When alternative current (AC) is passed through the first coil it creates magnetic flux in the core which in turn induces current in the second coil, as it follows from the Faraday's law. The most common household use of electrical transformers is in AC power adapters that transform mains high voltage (110-220V) AC power to several Volts DC power suitable for powering small electric and electronic appliances. Shown here is such a transformer of a design commonly referred to as the E-I transformer.